A dreich day greeted competitors for the opening round of the Scottish Motor Racing Championships at Knockhil in Fife. Over 100 drivers entered the meeting which boasted 16 races on a mainly damp track. The standard of racing was high with, 10 different race winners and only a few safety car periods to retrieve stranded cars. 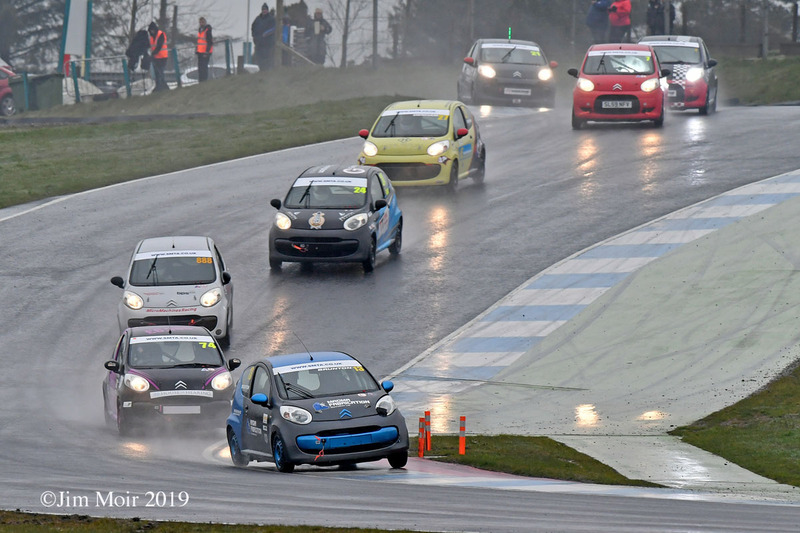 The Citroen C1 Cup started its racing life north of the border and its inaugural meeting, which could be deemed a success. There were 11 cars on the grid and 9 of these were driven by complete newcomers to car racing, which is exactly what the championship was intended to do. The entrants included two College car teams, with Edinburgh College fielding a car for Tom Denham and West College Scotland fielding a car for Glenn Alcock. Newcomers Ryan Smith and Finlay Brunton monopolised the top two steps of the podium in both races, taking a win and 2nd place finish each. The 2 races were competitive with both races seeing groups of 3 to 4 cars scrapping away throughout the race. Third in race 1 was Steven Morrison, and in race 2 it was Ross Dunn. Heat 1 winner Stewart Black lead all the way and held off former multiple Legends Cars Champion John Paterson, who had a magical first lap going from 8th to 2nd. Defending Champion David Hunter took 3rd having started 9th. Heat 2 was won by Steven McGill who hit the front with 3 laps to go, and held off Dave Newall and Duncan Vincent, who commentates on races between driving the Legends Car. The final is were the top points scorers from the heats start at the back of the grid. This saw Steven McGill take his 2nd win of the day, having started 13th He got into the lead on lap 7, only to lose it to Dave Newall who would finish 2nd on the last lap. But McGill won the drag race to the line from the final corner to the flag. John Paterson took 3rd in a car he was having problems with on the damp track. 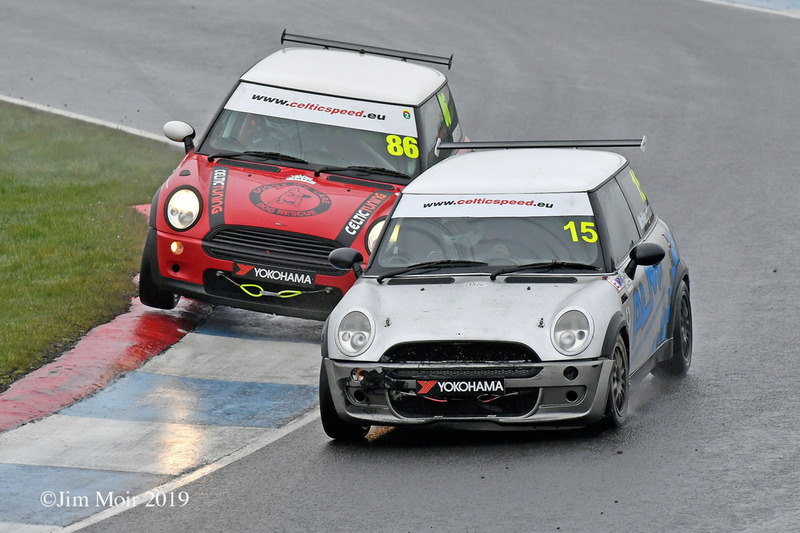 Three races were run and one driver – Robbie Dalgleish – took three wins, a rare feat in Mini Cooper racing. He won more races than anyone last season and was 3rd overall in 2018. Robbie was in dominant form all day, and won race 1 from pole. He led all the way despite last year’s top newcomer Michael Weddell staying within a few car lengths all race. The 2017 champion was close as Mark Geraghty took 3rd. Race 2 was a repeat of race 1 up front. But this time Dalgleish got well clear of Weddell who held off a challenge from Mark Geraghty from mid distance to the flag. The final race of the day sees the front of the grid reversed following a random draw. The top 6 finishers started in reverse order. Douglas Simpson seized the lead from the start. But he was demoted by Ian Munro on lap 3, only for Ian to lose the lead at the end of that lap to a fired up Robbie Dalgleish. He had started 6th but had cut through the front runners. Robbie was kept under pressure by Munro all the way to the finish, as these two eased clear of a 3 car scrap headed by Michael Weddell. This race featured two different championship competitions joining together for the first time. The Cooper S cars are more powerful and use racing tyres, so started 10 seconds after the Fiestas. In Race 1 Oly Mortimer took the first of two wins. He is undefeated in over 2 years of Mini Cooper S racing. He was leading by lap 7 and raced well clear of last season’s Mini Cooper S Cup runner up Paul Wilson. Top Fiesta ST was newcomer and Scottish ST debutant 17-year-old Jack Davidson. He put in an impressive driver and was never headed in the Fiesta section. Russell Morgan and veteran Peter Cruickshank were next up in Fiestas, and were tied together for most of the race. 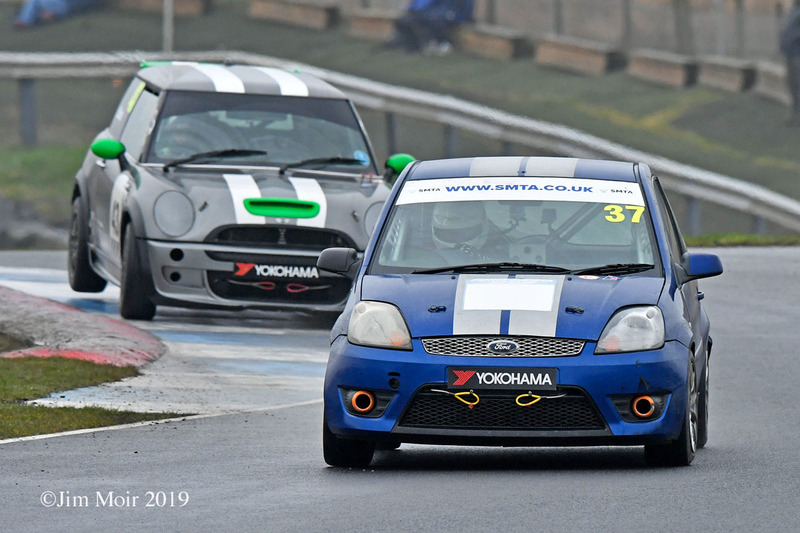 In race 2 Davidson again led the Fiestas all the way. Mortimer passed him on lap 5 on his way to another Cooper S win, with Wilson coming second again by over 10 seconds. 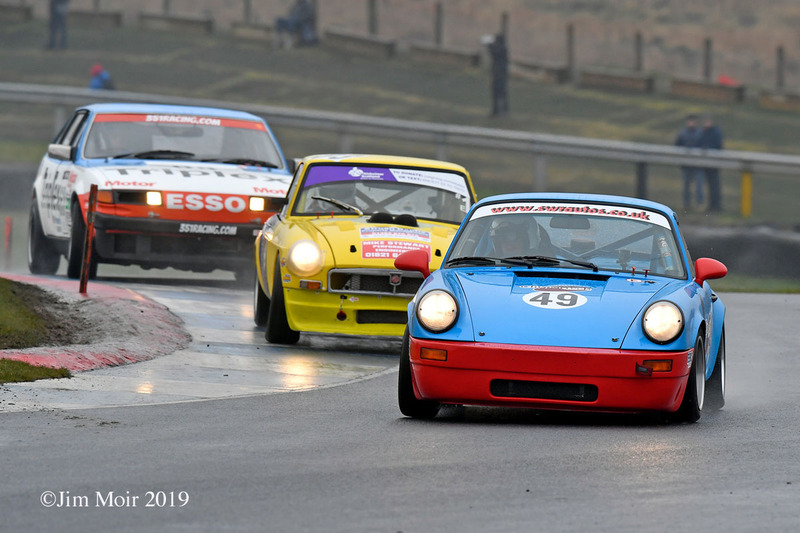 Late on third was taken by Stuart Buchan in a Cooper S demoting top Fiesta of Davidson to 4th overall. Russell Morgan again was 2nd Fiesta with Ryan Stirling rounding out the podium in 3rd. The amalgamation of these two championships seemed to work well. As Stuart Buchan said, ‘it was great fun mixing it with the Fiesta STs it’s a good choice from the SMRC’. 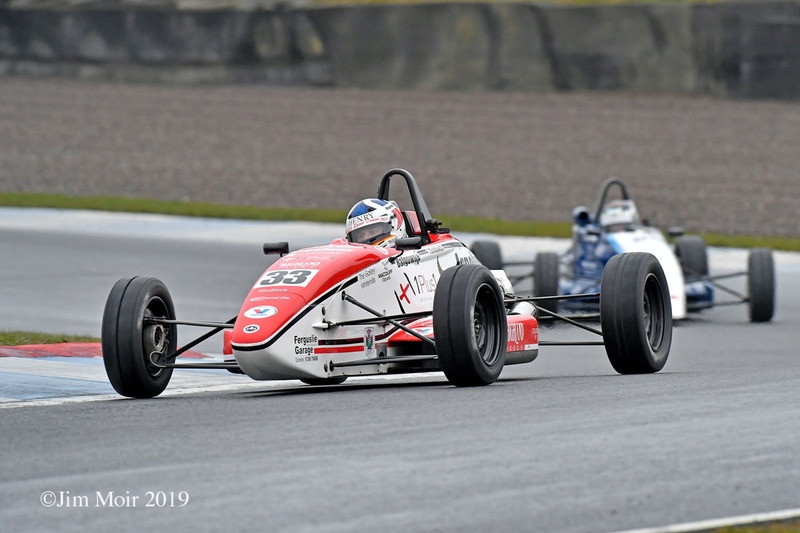 The main Scottish single seater Championship ran two races on a damp track. Both were dominated by the experienced Jordan Gronkowski in his Van Diemen. Jordan had finished 3rd in last years championship. 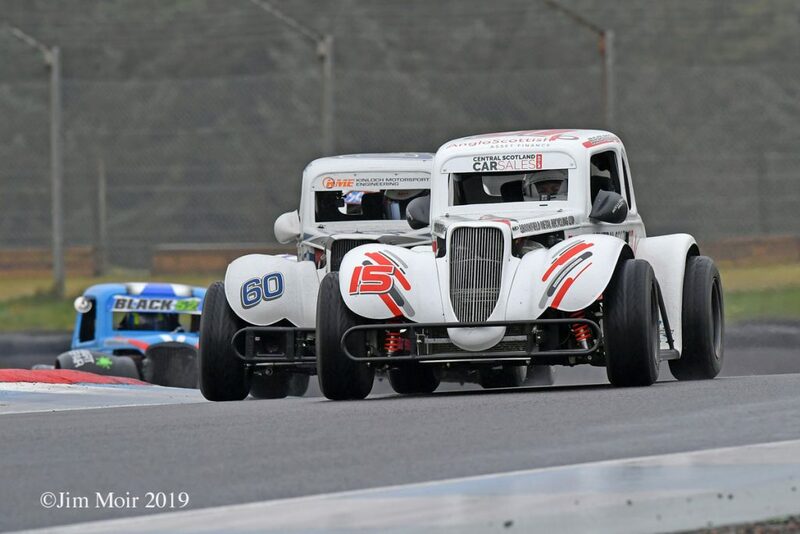 He was under early pressure in both races from young borders racer Jamie Thorburn, who raced Ray cars in the UK national Championship last year. But Jordan pulled away each time for his first double win. Into 3rd in both races came Kenneth Cowie in a Mygale. These races saw a debut in car racing for talented teenager Cameron Thomson. The former top karter, took 5th and 7th place finishes. 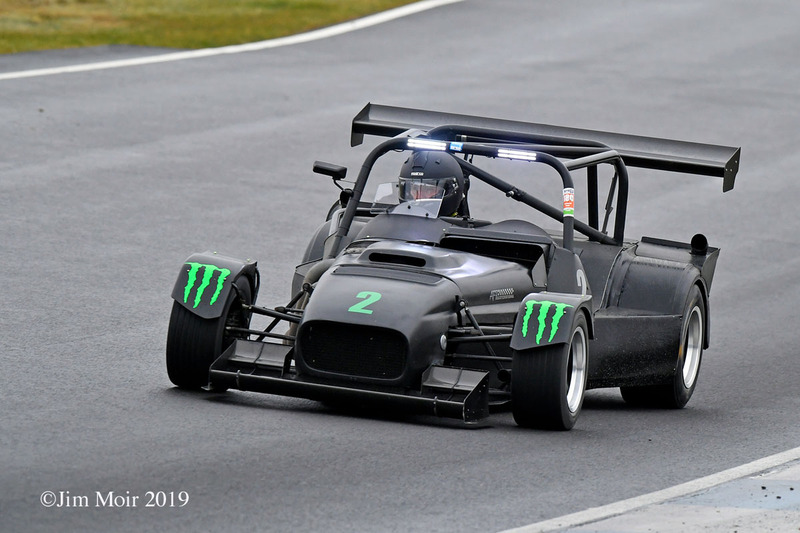 The two races for modified cars saw a spirited battle at the front in race 1 as Andy Forrest in a Westfield kit car held off a strong Challenge from Andrew Gallagher in an EVO, before the 4wd car expired mid race. Forrest then won by miles. Former Champion Paul Brydon brought his newly acquired BMW M3 into 2nd and would repeat that finish in race2, as Forrest won again but with no Gallagher to press him. Keith Cowie was 3rd in race 1 in a Seat Leon. In race 2 Lowell Forsyth ran 3rd in a Lotus Exige having been 4th in race 1, but he went off at Clark corner and stopped in the gravel trap on lap 8 handing 3rd to defending champion William Robson, with his Focus RS.